Without doubt, music plays a big part of our lives: and music streaming sites such as Spotify, Deezer, KKBox, and Guvera know that very well. The past few years saw the explosion of music streaming sites: Spotify, which was launched in 2008, now has over 24 million active users, with over 6 million of them paying for Spotify’s premium service; Deezer on the other hand, has 16 million monthly active users worldwide and 5 million of them use its Premium+. Both these services have been actively expanding its reach in Southeast Asia, through partnering with major telcos as well as other marketing activities. And Guvera wants a piece of that too. 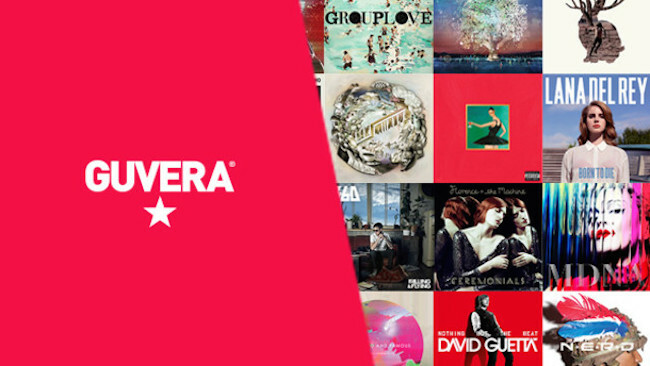 Founded back in 2008 and officially launched in 2010, Guvera is an online music download and streaming service which allows users to stream music legally. Guvera has agreements with the music labels in the regions and is largely focusing on users in Australia, Indonesia and the United States. It is currently actively reaching out to users in Southeast Asia. To understand more about Guvera and its plans for the region, we spoke to Michael Wallis-Brown, President and Managing Director of Guvera Asia. 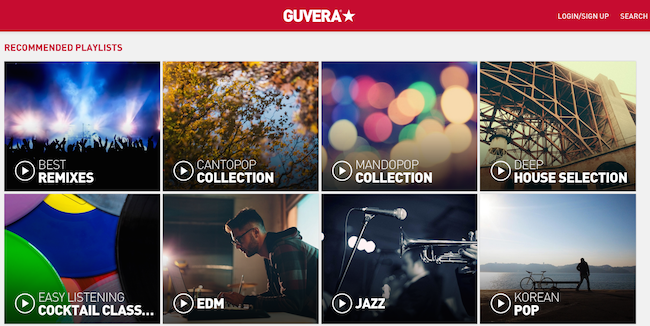 So who is Guvera? With millions of tracks from local and international artists on its platform, Guvera wants to be people’s first port of call when they want to listen to music anywhere, anytime. To the music industry, Guvera hopes to be seen as the streaming partner of choice through their commitment in helping provide a commercial platform for artists, as well as an advocate of legal digital content. The company currently has over one million users globally and the number is growing rapidly as Guvera extends its footprint into over 40 markets over the coming months. So why should users use Guvera? Michael said that its ease of use is the main draw. “People can access their favourite music anywhere, anytime – all they have to do is hit play. Secondly, it’s a great user experience. Guvera helps users discover music that matters to them and there will always be new content, playlists and tracks for them to look forward to. And lastly, Guvera rewards users with great offline experiences as well.” – Michael. In Singapore and Southeast Asia, the music streaming industry is heating up with Spotify and Deezer taking a headstart. Is there still room for Guvera? While we might be skeptical, Michael assured us that there is plenty of room for growth in Southeast Asia when it comes to music streaming, taking into account this region’s increasing smartphone penetration, huge and growing population of connected millennials and thriving local music industry. “All the research available out there clearly shows that Asia is leading the trend in terms of digital music consumption – half of all people listening to music or watching music videos on social networking sites are in this region, according to a Connected Music Matters survey by Ipsos,” Michael shared with Vulcan Post. Of course, to grow its reach in Singapore and Southeast Asia is not an easy feat, especially when there are already other services here. Spotify and Deezer has also been actively partnering with telcos in the various countries for distribution deals, leaving little room for Guvera to maneuver with. 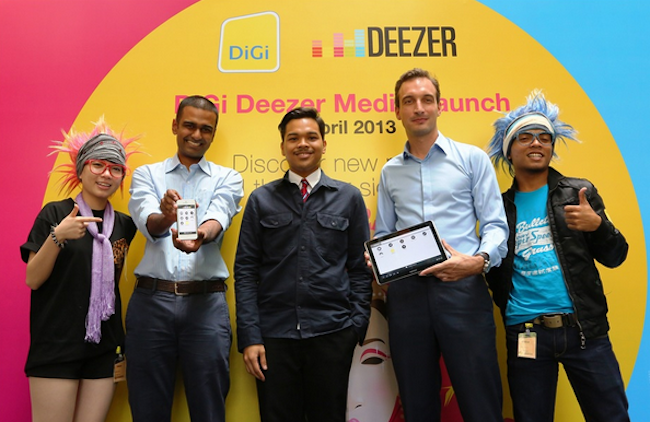 But it’s not just Spotify and Deezer that it is competing against. Piracy is another main concern, and Michael believes that Guvera can leverage on that. “We don’t consider other music streaming services our sole competitors. Consumers today have various sources for accessing music that are not limited to music streaming services – not all of them legal – so piracy would probably be our biggest competitor in this region. Research also tells us that 95% of consumers today want access to music, but don’t want to pay for it – Guvera provides a platform where consumers can legally access all their favourite music for free. At the end of the day, we also believe people will keep returning to the platform that offers them the best music and the best user experience. This is where we think Guvera has an edge,” Michael said. With its eyes set on Southeast Asia, Guvera has been actively focusing on rewarding users through on-ground events and unique experiences – something which the company hopes to win the hearts of users. 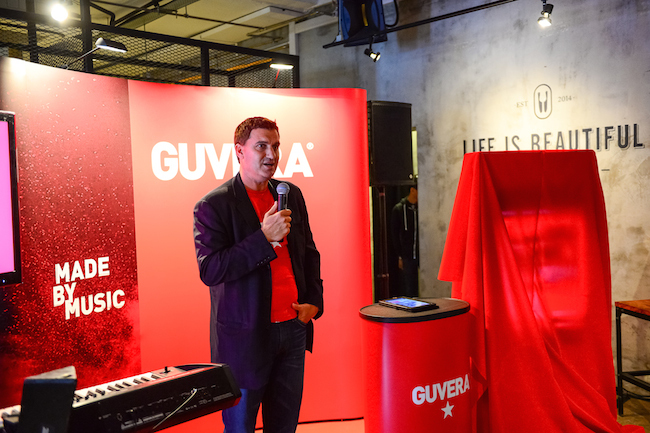 “We want to bring the Guvera experience to life in new and exciting ways for them,” Michael told Vulcan Post. An example of that is the recent concert in Malaysia, which was headlined by international hip hop star and actor Yasiin Bey, formerly known as Mos Def. In Jakarta, Guvera also organised a Music Run for running enthusiasts and created a special playlist for the event. 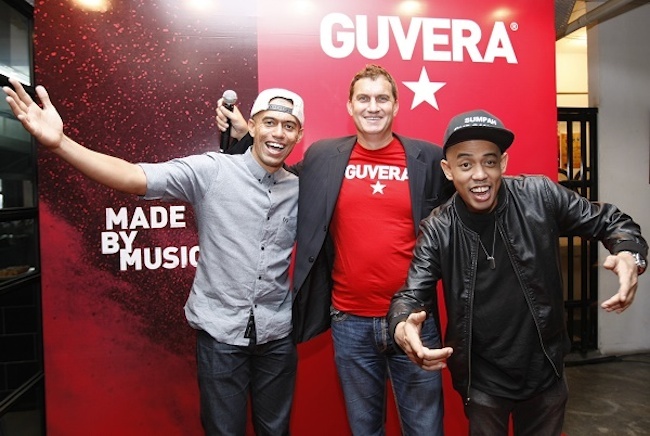 Guvera has also been appointed as ambassadors of popular local musicians such as Raisa (Indonesia), Michaela Therese (Singapore), and Joe Flizzow (Malaysia). When asked about the different markets in Southeast Asia, all Singapore, Malaysia, and Indonesia are equally important to Guvera, albeit for different reasons. “Singapore is important from a strategic perspective. Guvera has its regional hub in Singapore with a team dedicated to growing the business in this region. Singapore is where many of the regional digital marketing decisions are made, so there are great opportunities to work with brands that are looking for a platform on which they can connect with consumers through music in a highly targeted, relevant way. We also have an office in Indonesia, along with a rapidly growing user base. We have a number of strong partnerships in Indonesia with local telcos and payment gateways that are really setting the benchmark in terms of how we penetrate emerging markets – in fact, Guvera is the first music streaming provider there that has introduced carrier billing. So will Guvera rise above other players? Maybe. But one thing’s for sure: we are definitely going to hear more from the company.